A few books that I’m looking forward to reading have found their way to my house in the past two weeks. 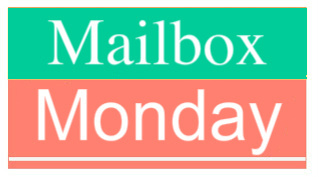 If you want to join in and show what books arrived at your house, Mailbox Monday is hosted on its own blog. These are new to me! Have a good week, Carol. Trigger Warning is popping up in a lot of mailboxes. I’ve got my eye on that one. I bet Trigger Warning is great! The Long And Faraway Gone looks good. Better Than Before looks interesting. Yeah, I had to push The Long and Faraway Gone to the front of my reading list – I couldn’t help it. Lots of people have been mentioning receiving Trigger Warning. I hope it turns out to be good! I’ve seen Trigger Warning in several mailboxes. Great books! Enjoy! I’ve read one Neil Gaiman book, and while I wasn’t the biggest fan of it, he’s still an author I want to read more of. Happy reading! I love American Gods and the Graveyard Book, but I think that might be all I’ve read. We did see him speak once, which was great.